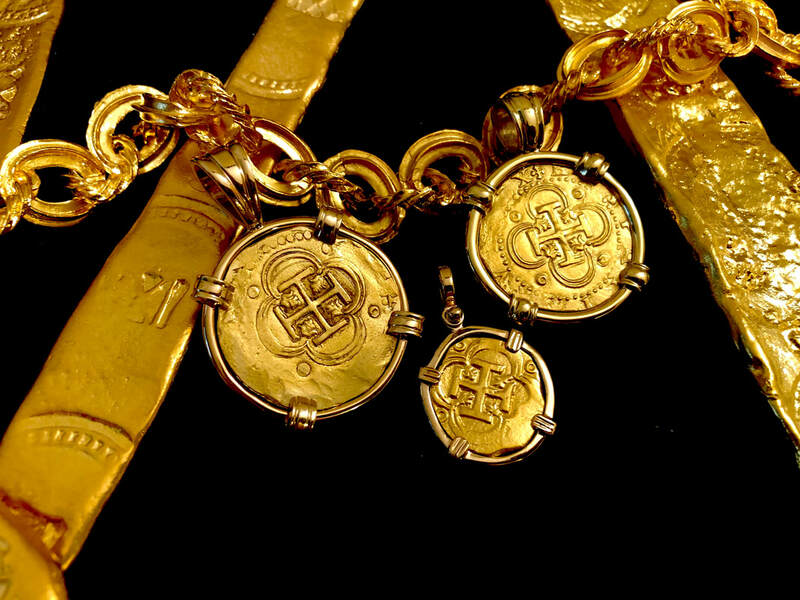 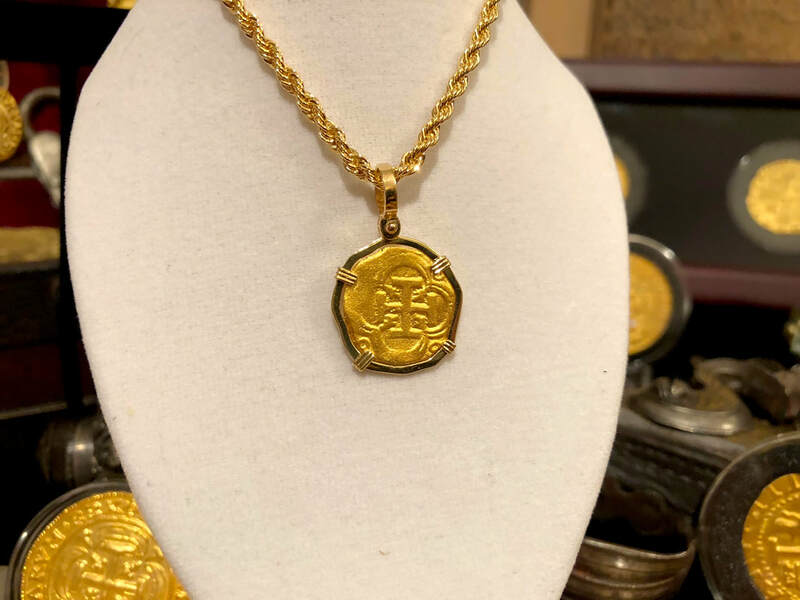 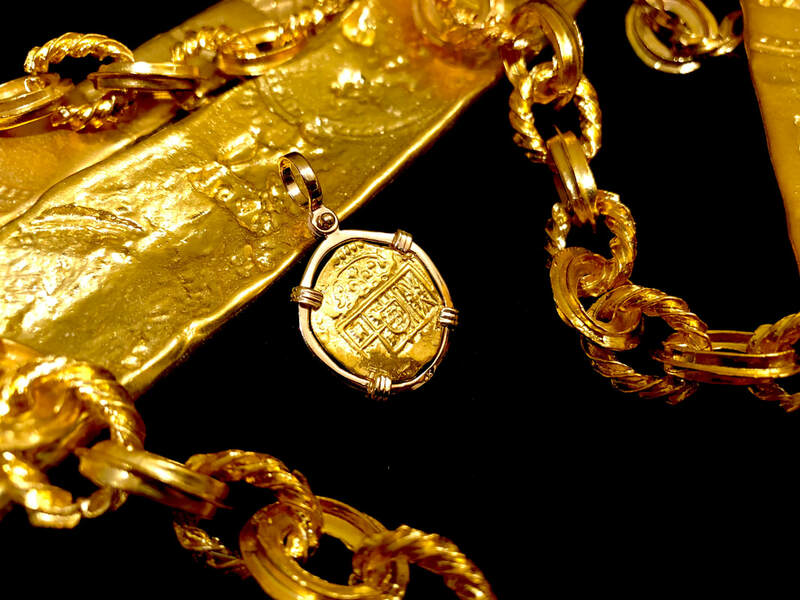 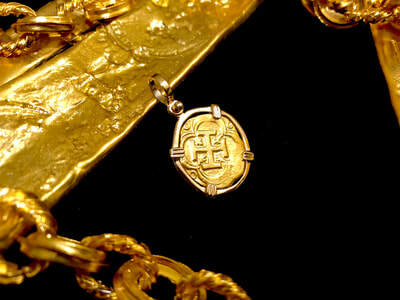 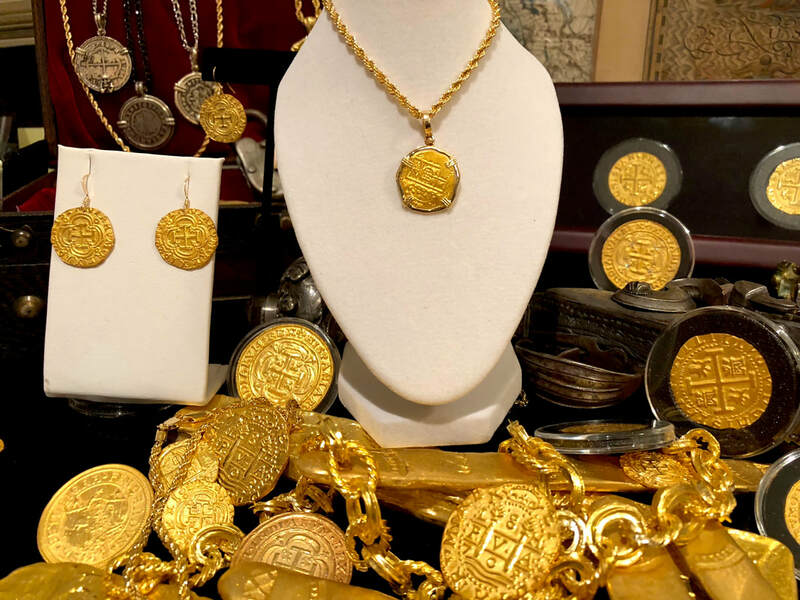 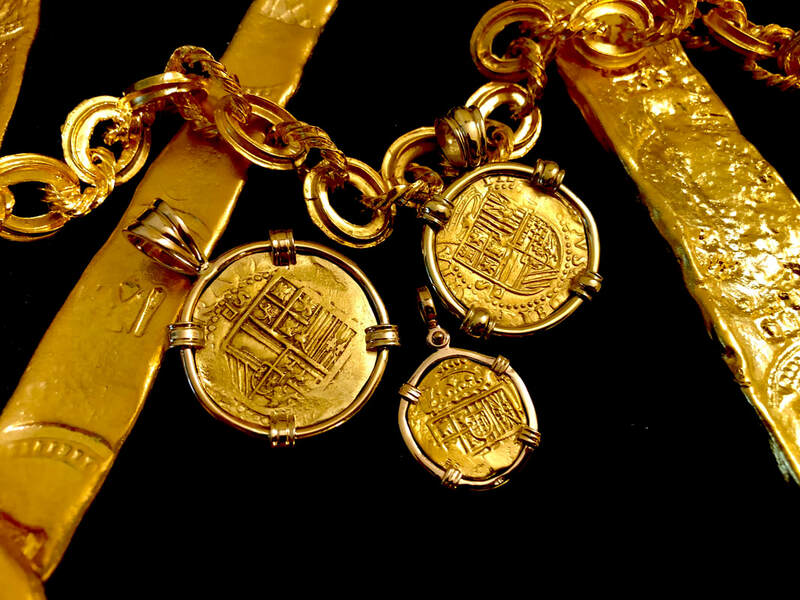 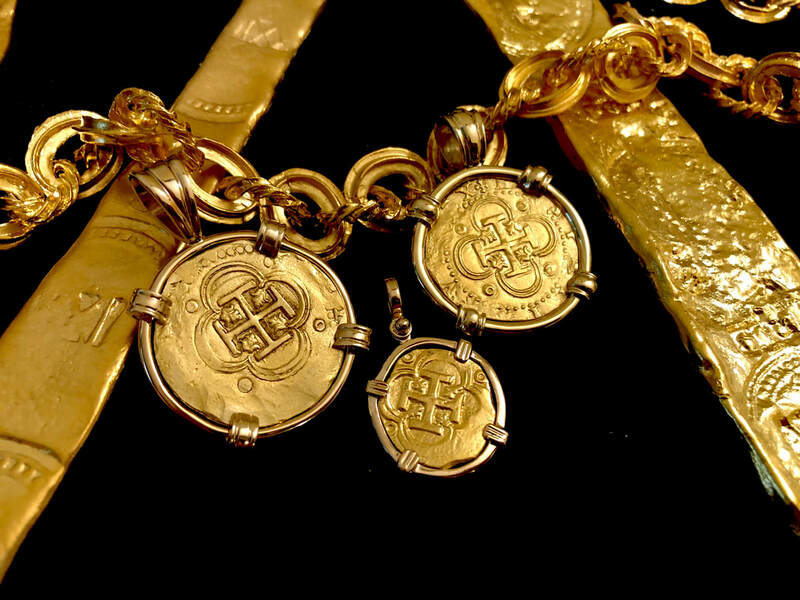 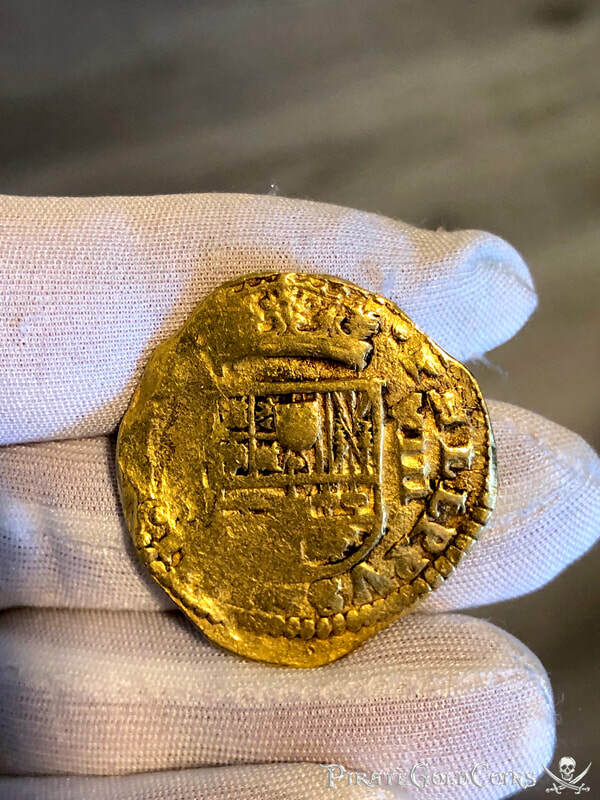 ATOCHA 2 ESCUDOS 24KT NEW GOLD PENDANT DOUBLOON COB SHIPWRECK TREASURE COIN These beautiful handcrafted (struck) Reproduction Jewelry pieces (coin is 24kt pure Gold) and Bezels (swivel bail / cusps) are 14kt pure as well. 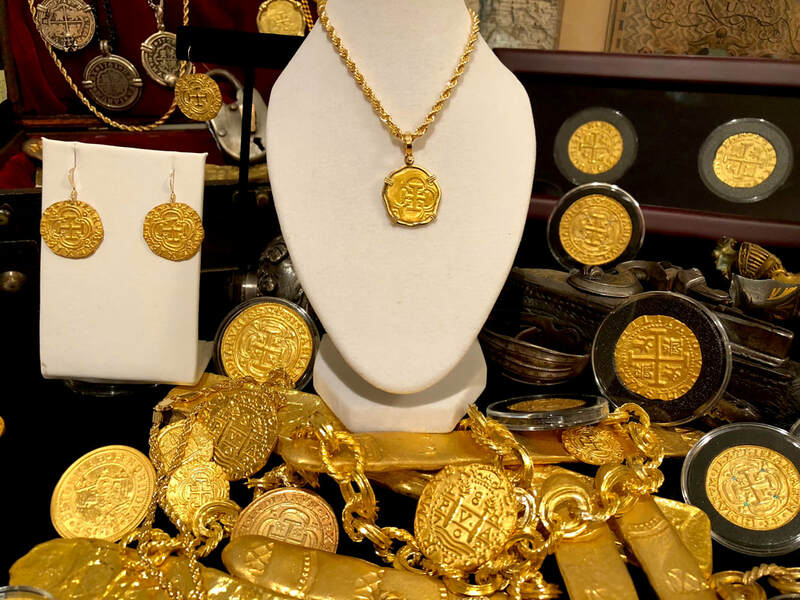 These beautiful works of art were created with the utmost care and extremely similar to the actual coins found on the Atocha (which most dealers believe to only be 5 or 6 pieces). 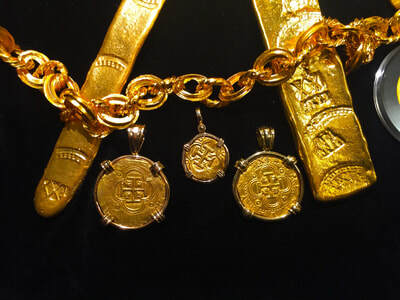 The perfect gift representing the Ancient Spanish Galleon Treasure or 1622 (which was lost at Sea in September of 1622). Each pendant and coin weighs approx. 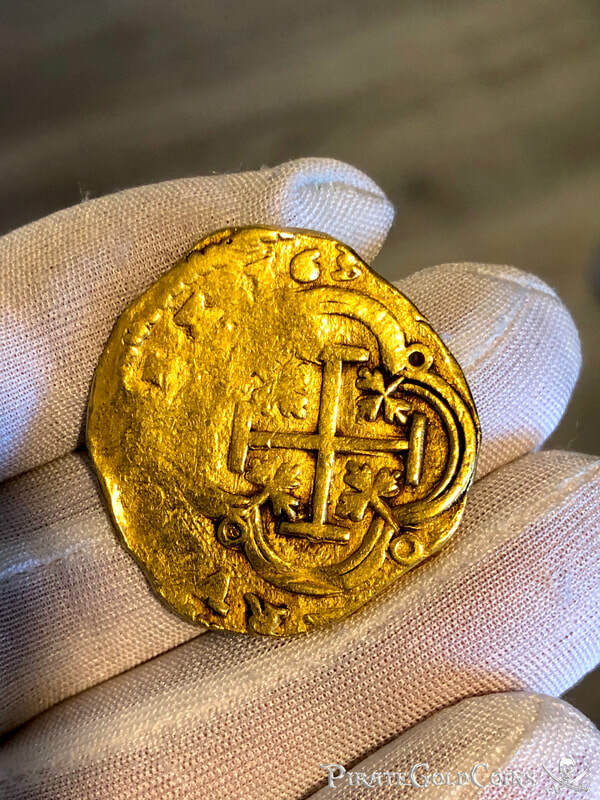 6.5gm (Total) and measures in at 22mm from bezel prong to prong (coin is approx 20mm by itself). 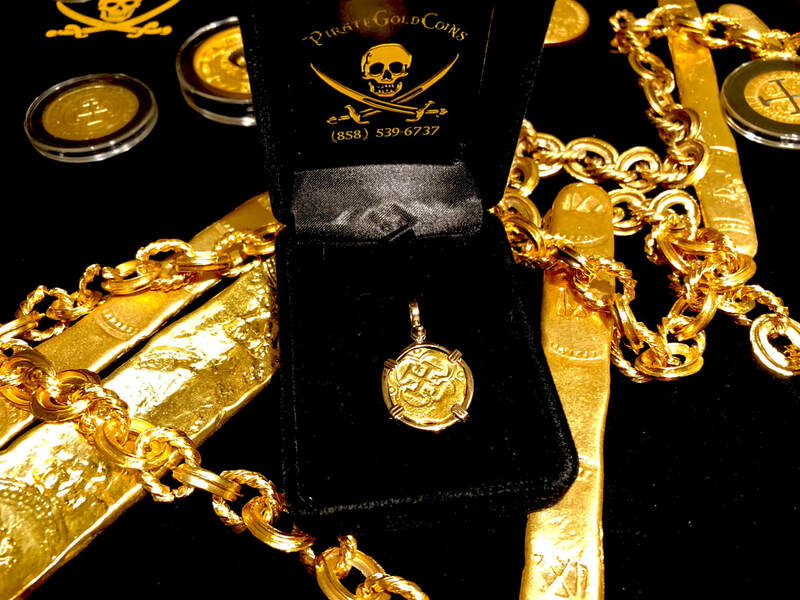 A Brand NEW piece, never worn and from our new Shipwreck Collection!